The Legacy is the newest member of the Liquid Force twin tip collection. It replaces the renowned Influence board and brings a new experience into the kiteboarding game. It is a powerful, reliable and comfortable freeride board with excellent freestyle potential. It works perfectly in real world conditions and can accommodate a wide range of riders. With the new Legacy you can discover new frontiers of freeride and freestyle. This board replaces the popular Influence board and offers enhanced performance. The Legacy is lighter and more responsive that the Influence. It is perfect for boosting cool tricks and for progressing. The legacy features a fuller hip outline and W shaped tips. This profile makes it quick to plane and very maneuverable. The thinner profile of the board maximizes its maneuverability and upwind performance. The progressive rail concave design ensures easy transitions and edge hold. A full double concave bottom design assures a smooth and clean glide plus plenty grip and stability. It also makes the ride smoother in chop. The flex is optimized to deliver a perfect mix of pop and comfort. The Liquid Force Legacy is built using a CNC and Wood composite core, Biax/triax glass layers, Biax longitudinal reinforcement strips, Liquid Rails and Printed matte or gloss sub straight finish. 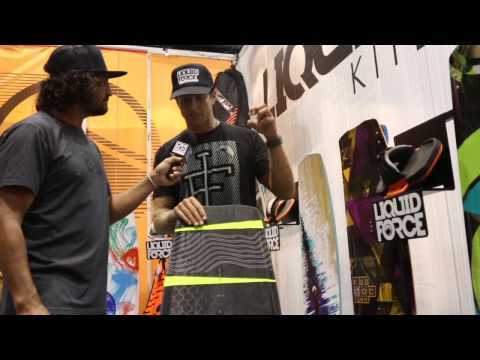 Liquid Force Legacy 2015 Average Rating: 5.0 out of 5 based on 1 user reviews.